Nutrition is important in every stage of the life but more crucial during pregnancy, lactation and further the growing stage. Strong foundation will lead to healthy life ahead. We always hear that after pregnancy; life of a women gets totally changed. After delivering a small baby she will be a full time mother. But these mothers are experiencing it for the first time so have no idea that how to go ahead. All of us know that 1st six months exclusive breastfeeding is recommended so no need to worry about food for the baby. It actually starts after 6 months when baby develops tastes, teeth are coming out etc. This is the time when experiments in the kitchen starts of course some precautions needs to be taken. We as a mothers should expose them to variety of foods, textures, flavors and colors. Broadly we can divide developing stage into three categories. 6-9 months: It’s called a “Weaning phase” means that along with breast milk top feed is introduced. It’s baby’s first food. 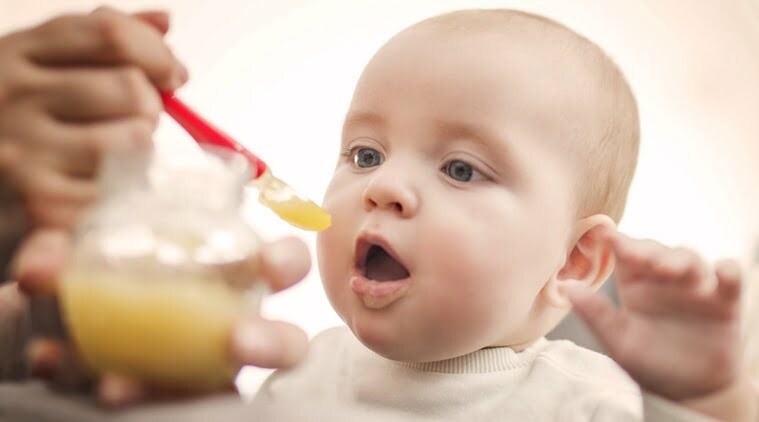 Babies’ digestive system is not that strong so start with foods which are easy to digest. When we visit the doctor they usually recommend readymade food packets like cerelac etc. These are available in various flours and easy to prepare but; they also contain a high amount of sugar, preservatives and costly also. Giving these formula feeds along with homemade food can be a choice but gradually shift to home-based foods. Their excessive use and total dependence can be harmful to the babies. Like these products, we can prepare them at home easily. Rice is cereal which is easy to digest so we can start with rice kanji. It can be prepared using salt or sugar whichever way your baby likes. Gradually we can give dals along with rice. It’s good to start with moong dal. Another option is to prepare mixed malted flours of rice and moong dal for instant preparation of khichdi. Slowly we can add flavours into the khichdi as tomato or some cooked and mashed vegetables. As far as possible avoid giving besan. For adding calories homemade ghee is always a good choice. 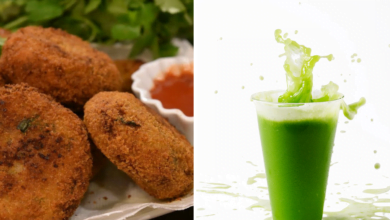 In liquids try out coconut water, homemade fruit juices, buttermilk etc. While giving any new food, give it in small quantity. Observe stool and also any other allergic reaction. If you observe any stomach discomfort or rash on skin or any unusual behaviour by child immediately stop giving that particular food. Introduce one food at one time. Each time prepare fresh food for child. Hygiene needs to be maintained. 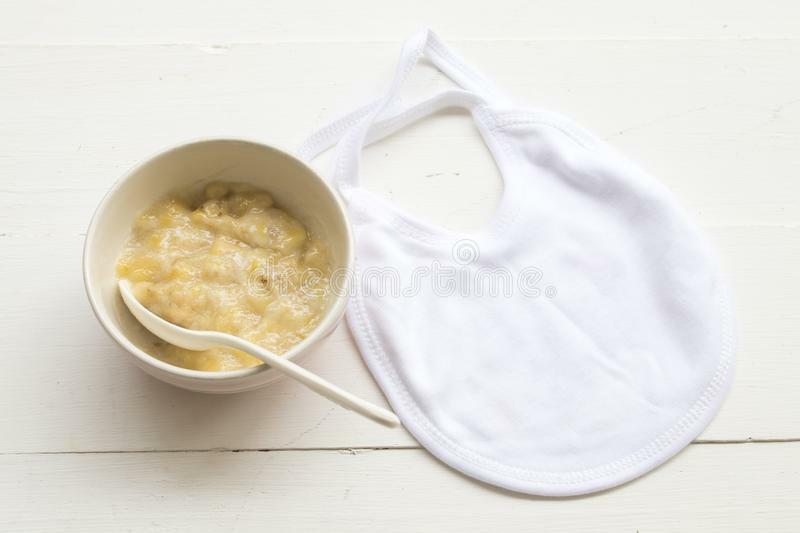 Boil utensils which you are using for serving and making food for a baby. Avoid use of bottles. 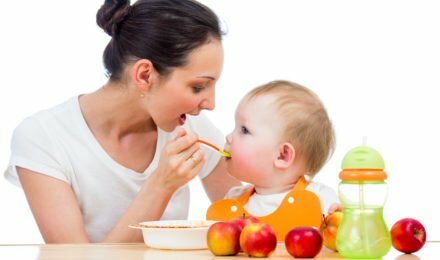 Allow child to start their meal using spoon and small bowl. 9-12 months: We can call this phase as “Blenderised food phase”. In this phase teeths are coming out so many children complains of stomach pain or loose motions, gases etc. Also they want to chew something continuously. Give whole wheat toast or long piece of carrot or cucumber to chew. During meal time blend chapatti or rice along with vegetable or dal using mixter. Here you can try other dals or legumes such as whole moong or masoor or matki etc. This is the right phase where you can start with top milk. I would suggest to give cow’s milk initially then gradually shift to whole fat buffalo’s milk. Using milk various other recipes we can think of. 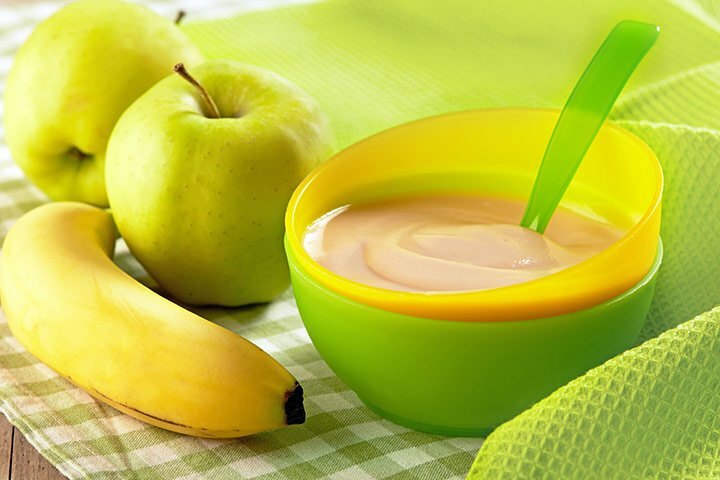 Blending fruits like apple, banana or chikku along with milk adding little sugar. Also in date milkshake no need of adding sugar. For increasing calorific value we can add dry date powder (kharik powder) or mixed dry fruit powder. Another option is blenderising rajgeera laddo and adding milk and make rajgeera porridge. We can give various types of kheer like rawa kheer or rice kheer or potato kheer. Soups can be good choice to incorporate vegies in the diet. You can try out mixed soup of palak, tomato and cabbage with little bit of black pepper powder and salt, sugar for taste. Plain sweet corn soup or tomato soup are also the options available. Using rice and dal you can also prepare khichdi. Semi solid upma can be the choice. Ukad using rice flour or jawar flour along with buttermilk is good option to give; which is tasty as well as easy to prepare and digest. Make use of Nachni satv at least once in a day. Along with solid food you need to give water as well. Don’t use red chilli powder or spices while preparing meal. Make use of jeera powder or ajwain powder for taste. Avoid excessive use of sugar or jaggery or any sweet food item like jam or chocolates. Use natural sweeteners. Always use boiled water as water is the medium from where the infection spreads quickly. While going out don’t forget to carry bottle with boiled water. 3. 12-18 months: We can call it as “Mashed food phase”. Till this time child start eating small bites. For growth purpose here we should incorporate nutritious foods in the meals. Like we can make use of cheese, dryfruit powder making small ladoos of groundnut and jaggery which are easy for them to eat. Its phase where you can develop good eating habbits which will be beneficial for them future stages. Allow your child to drink milk without sugar. Southindian food items like: Idli, dosa, appe etc. 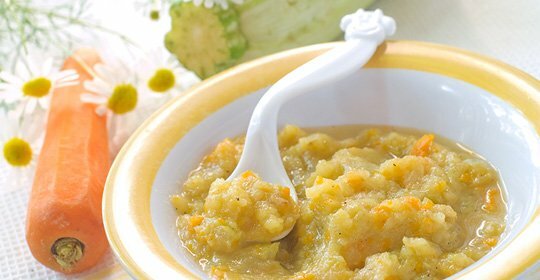 If your baby has sweet tooth then you can make aata sheera, banana puri or gharge (Sweet puri) made up of gajar or red pumpkin. Potato paratha, cheese paratha or any vegetable paratha with little spices. As far as possible avoid the use of bread or bakery items. Gradually taper down the frequency of breastfeeding. Give food items which are healthy as well as calorie dense. If you are a working women also it’s always better to schedule your child’s meals using above options. Remember child’s eating habits are developed in these stages. We as a mother have responsibility to give best to our child so that his further developmental stages have strong base. She is professionally “registered dietician” (RD) holding master’s degree in “clinical nutrition”. She is ready to counsel people of any age group about balanced diet. Effective counseling skill gives her chance of conducting talks in various industries about diet and health. 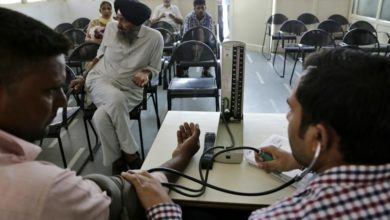 Experience of hospitals and gyms offers her a broader outlook about people with variety of health issues. She is completely against of following Harsh and Crash diets, taking meal replacers and skipping meals etc. Being a Nutrigenomic counselor she always helps people to find out the root cause and then guide them for personalized diet which suits them best. Hobby of cooking and experiments in kitchen always keep her updated about new trends. She always aims at “Healthy eating and Healthy living”.